Product development and Traction should each get 50% of your attention. Allocating resources to marketing may slow your product development in the short-run, but you will catch up in the long run. Cultivating traction invariably forces you into deeper problem-exploration—which in turn helps you build a better product for your market. As entrepreneurs we tend to fall into the ‘Product Trap’. We delay marketing because the product is “not ready yet”. Focussing on traction gives you additional data. This data allows you to pinpoint the message resonating with your customers, which can be used to ‘steer’ product development in the right direction. ‘Bullseye’ is a simple & structured framework to approach your traction goal. First, visualize a bullseye board with three rings. The ‘outer ring’ consists of all the possible traction channels like display-ads, email marketing, SEO etc. Brainstorm and evaluate which of these channels are best suited to attain your traction goal. Move these channels into the ‘middle ring’. Testing is a crucial component of the middle ring. The channels qualified into the middle ring need to be tested in order to ascertain which channel shows the most promise in achieving your traction goal.The channel(s) that makes it past this ring hits the ‘bullseye’ ring. This is where you ‘focus’ and aggressively target the channel to achieve your traction goal. More often than not, the most underutilized channels will show the most promise for early stage startups. Coincidentally, it’s also most likely to be the channel you’re least familiar with. You may have an urge to choose the channel you’re most comfortable with. This bias may lead to picking an overcrowded and inefficient channel. Approach the Bullseye framework objectively and learn a new channel if you have to. Chances are it will pay off. 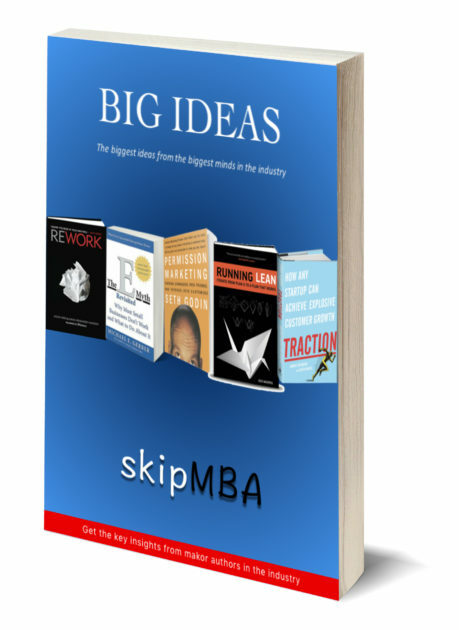 Final Words: Aside from these big ideas, the book is riddled with valuable information. It expands on nineteen different traction channels that may be suitable for your business. ‘Traction’ will definitely serve well as a “on your shelf” reference book.